Today, technology has changed the way we market and promote our products and services. Websites have become imperative for any business to maintain a digital presence on the web. An active site helps marketers generate leads, which is one of their primary objectives. Marketers use various tactics to nurture their leads, but a fair share of marketers still believe that to generate a lead is an art, and to master this art you need to attain more high-quality sales-ready leads. In this contemporary economic climate, marketers are looking for channels which are highly accountable, and where the return on investment (ROI) is easily calculable. Consumer behaviour changes from time to time, and so does the lead generation. Therefore, it’s important to revisit the lead captures to take advantage of the evolving technology trends and consumer behaviour. Lead generation is a process of attracting the visitors to your site and getting them interested in your offerings. You convert your potential customers into leads and persuade those leads to provide their information. It has become one of the most cost-effective and measurable ways to track potential clients. This is done by getting the contact details of the customers who have requested information regarding these products or services. To generate leads, marketers use their best tactics to build a website that can draw attention, which is critical for them to value the web design skills that can be used to create an effective lead generation website. Content is the king for any internet site. There is a need to post significant content every time for the readers to generate leads. Not just that, but with the change in trends, content needs to be updated as well because of the change in the tastes of readers. There is so much competition in the market that to outstand; content marketing goes with the most creative methods to attain the attention of the audience. It involves creating and distributing valuable, accurate and high-quality content to their target audience. Various tools are used to interact with these consumers, where content marketing is proven to be one of the efficient and massively effective means to target the audience. Content Marketing is not just limited to blogging, but various other mediums as well. Videos, Storytelling, Infographics and Imagery have played a great role in generating traffic, as they are interesting and appealing to their viewers. Smartphone users depend on responsive web design to consume content. RWD isn’t just for increasing your website’s search rankings or delighting mobile users, it also serves as a powerful lead-generation tool. If the website isn’t responsive, then it’ll get bent out of shape quickly, which means that it loses its overall effectiveness. On a responsive internet site, the core elements like images, text, navigation and videos resize themselves to fit the screen on which they are displayed. Your site will look great on a device as small as a smartwatch, or as large as a three-monitor desktop setup. Educate the readers with topics relevant to their interests in the form of eBooks, whitepapers, free guides and other forms of high-quality content. This information can help your target demographic to associate with your business eventually. Get the feedback from your customers and understand the type of content they are looking for so that you can upgrade the content accordingly. This feedback can help your business to convert them into potential leads. Nothing is more frustrating for the users than slow-loading web pages. It has become such a vital part of any website that search engines rank website links according to the loading speed of these sites. The speed can lead to slow SEO results as well. A full range of development and design techniques and its best practices are required to optimise speed for any website to generate a lead. Whitespace – also known as negative space – is one of those things while designing a website that can make a significant impact. You can insert essential content, videos or pictures on your site to make it look more appealing for users, instead of cluttering it with overloaded content. A webinar is a seminar conducted over the Internet. Webinar platforms offer their users the ability to download a recorded version of the webinar which can function as an excellent evergreen asset. A successful webinar should start with well-developed content and an active pre-webinar promotion. Then there is a post-webinar promotion, after which one recruits the right presenters. You can follow up with the leads who attended the live webinar as they are real customers who are excited about the new products which are discussed in the webinar. Every time you conduct another webinar on your website, you can get the contact information of an adequate number of people. In recent times, the widespread usage of smartphones has become a successful tool for B2B marketing’s growth. 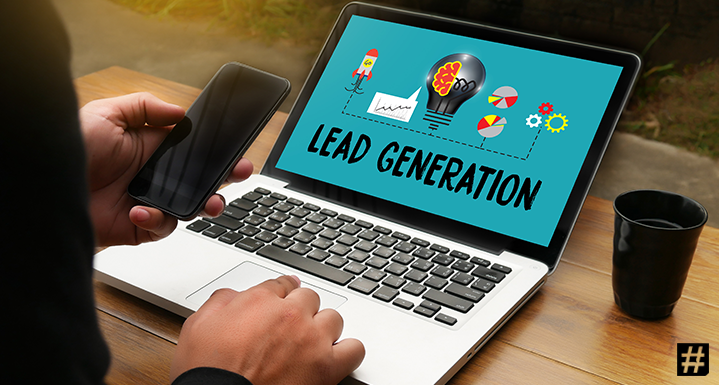 Lead generation has gained importance through mobile’s astounding data connection, and multiple industries are taking charge with innovative marketing approaches. Mobile marketing plans are used to manage emergency notifications, handle promotions, streamline assignments, and enhance B2B effectiveness with real-time events. Buying signals, demographics, and contact information are being used to increase the business outreach depth. >>Hubspot is one of the Essential tools for SaaS Companies. Know more about Hubspot.